Vries, Eize de. “Close up – Vestas V164-8.0 Nacelle and Hub". 2013. 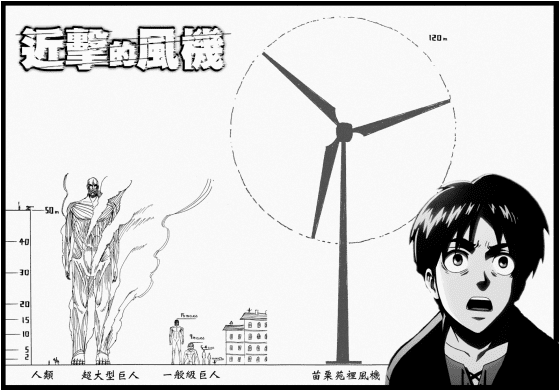 Wind Power Monthly. IEA. Technology Roadmap Wind Energy, 2009. GWEC. 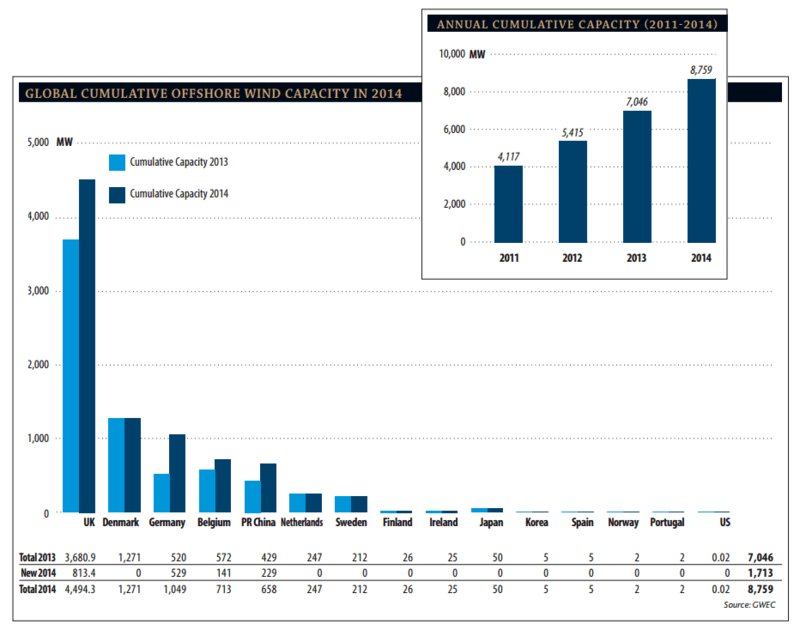 Global Wind Report Annual Market Update 2013, 2012. GWEC. Global Wind Report Annual Market Update 2014, 2014. Department of Energy & Climate Change. 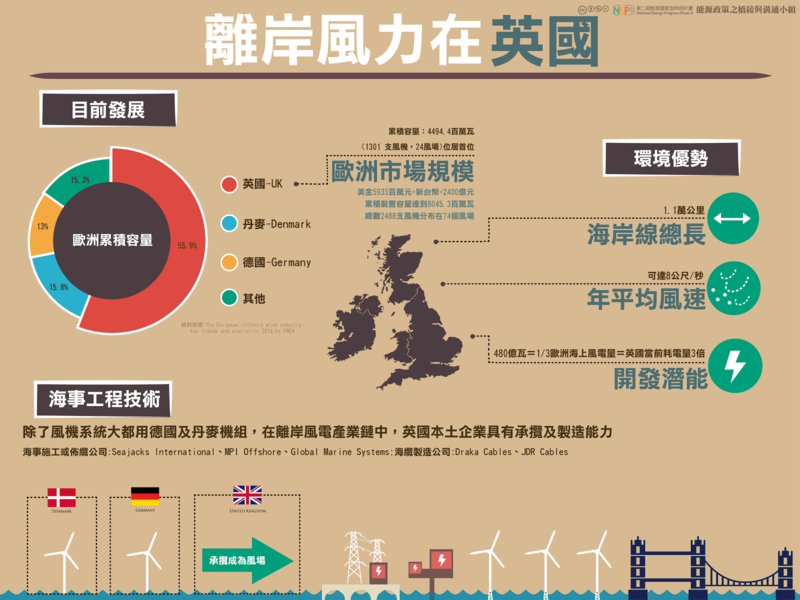 “Digest of Uk Energy Statistics (Dukes)". 周承志, and 鄭孟寧. “英國離岸風電發展趨勢分析." 第 34 屆海洋工程研討會論文集 (2012). EWEA. 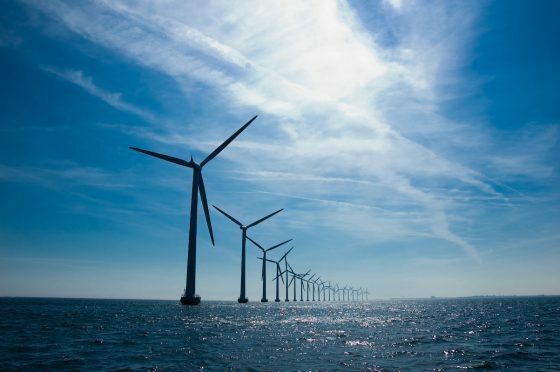 Operational Offshore Wind Farms in Europe, 2009. The Danish Goverment. Our Future Energy, 2011. Danish Energy Agency. Energy Policy in Denmark, 2012. IEA. 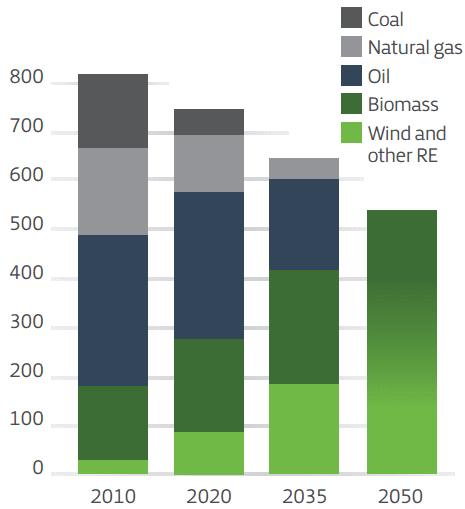 Iea Wind Energy Annual Report 2009, 2010. German Energy Agency. 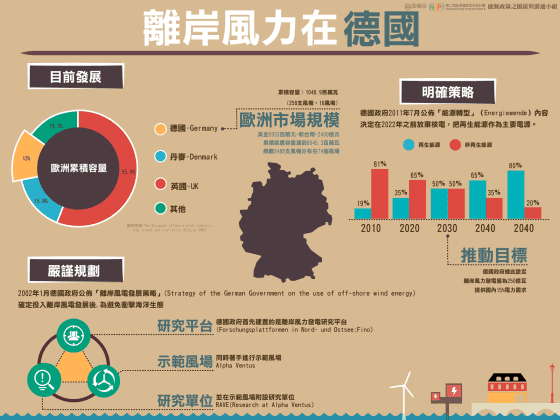 Strategy of the German Government on the Use of Off-Shore Wind Energy 2002. 4C Offshore. “Global Wind Speed Rankings". 許晃雄, et al. 臺灣氣候變遷科學報告 2011 (精簡版), 2011. EWEA. 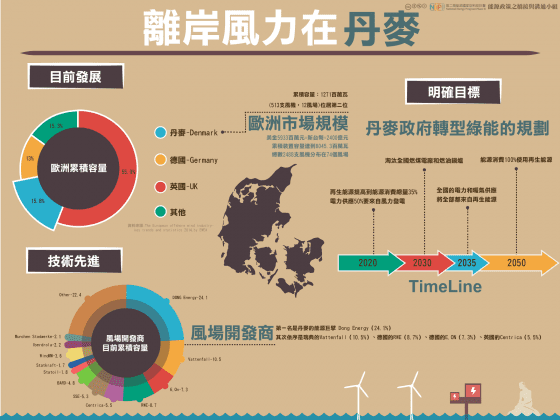 The European Offshore Wind Industry – Key Trends and Statistics 1st Half 2015, 2015. 廖學瑞, 丁金彪, and 林俶寬. 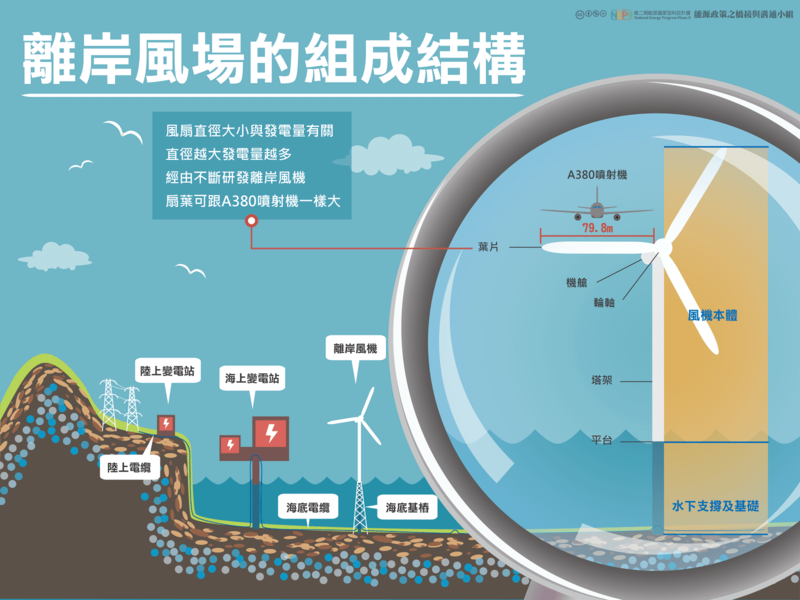 “離岸風力電場開發之海事工程施工船機與安裝技術初探." 中華技術 (2014). Ministry of Foreign Affairs of Denmark. 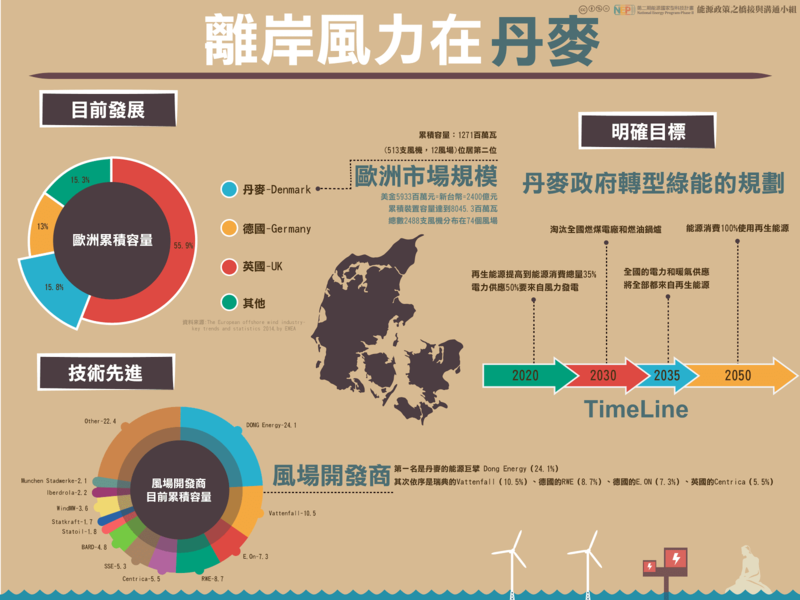 “World’s Longest Wind Turbine Blades Made in Denmark". 2013. 范建得, and 吳瑞南. 我國離岸風場相關科技之發展及推廣研究, 2010. Buck, Bela Hieronymus, Gesche Krause, and Harald Rosenthal. 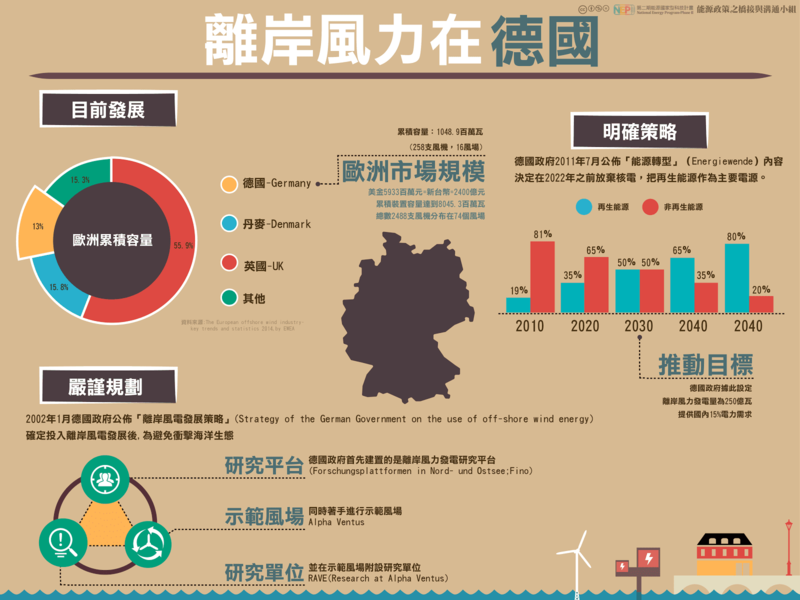 “Extensive Open Ocean Aquaculture Development within Wind Farms in Germany: The Prospect of Offshore Co-Management and Legal Constraints." Ocean & Coastal Management 47 3–4 (2004): 95-122. 溫敏麒, et al. 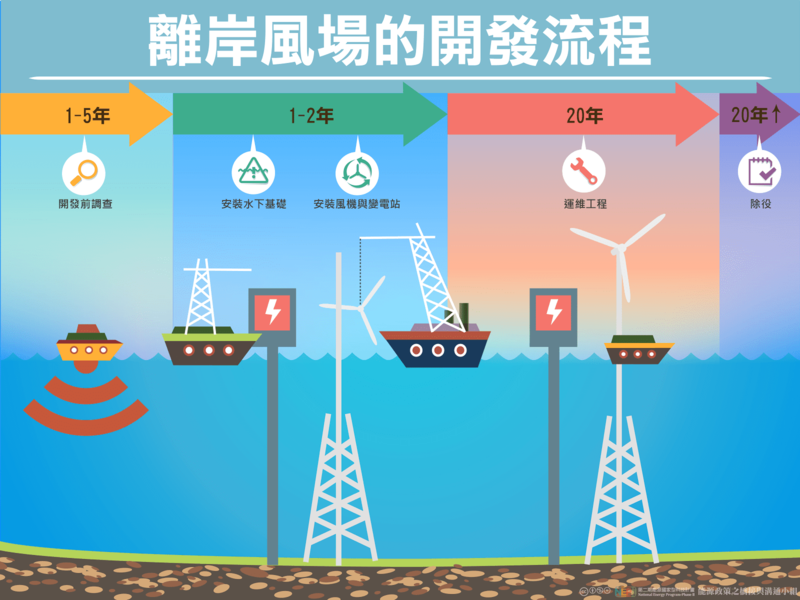 “開發離岸風力發電廠對當地居民之影響." 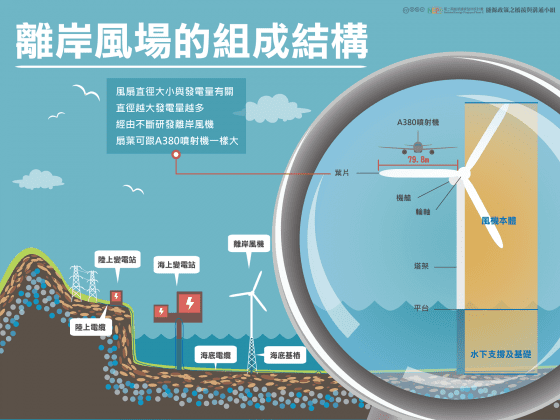 第 35 屆海洋工程研討會論文集 (2013). 許逸民. “「澎湖不缺電」　學生扮海龜反海纜." 蘋果日報 2013. 劉禹慶. 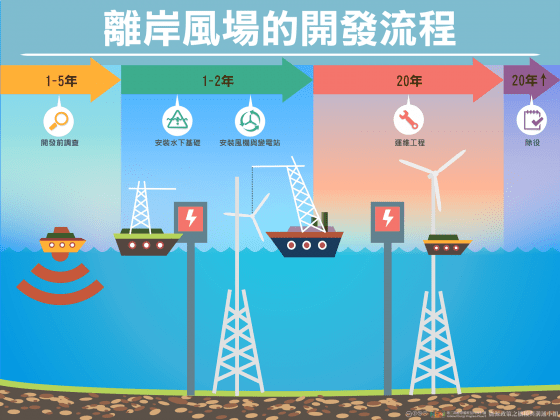 “〈南部〉台澎海底電纜施工 澎湖3村抗議." 自由時報 2015. 賴品瑀. 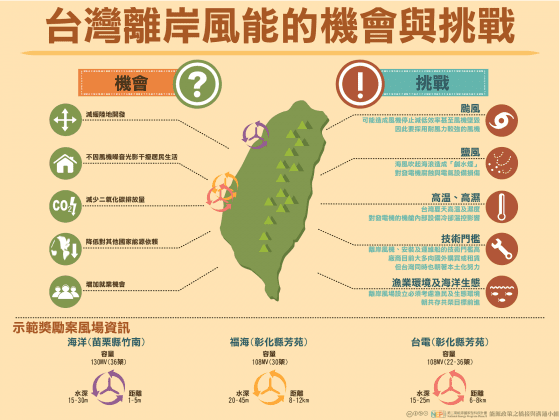 “台澎海底電纜環差過關 認知落差大 居民痛批草率." 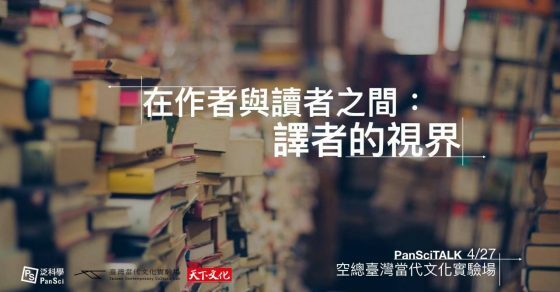 環境資訊中心 2014.